The manufacturing industry is in the midst of a minor revitalisation, with new technologies and digital platforms being rolled out every quarter to help compensate for shrinking profit margins. In Australia, the sector recently hit its ninth continuous month of improvement; it now currently sits at 55 points, or 5 points above neutral, according to the Australian Industry Group. It has so far weathered the storm well in comparison to other waning markets, yet small- and medium-sized business owners will have to continue to improve their organisations moving forward to keep up with competitors. Technological upgrades are coming in every shape and form for the manufacturing industry. Robotics, the Internet of Things and 3D printing are all helping to save money on the front line - often replacing employees for more efficient machines. But it's the back-end of the businesses that need the most improvement, yet don't receive the same limelight. Increased costs for utilities and other key day-to-day tasks are expected to have a drastic affect on some organisations in the coming future, especially food manufacturers. 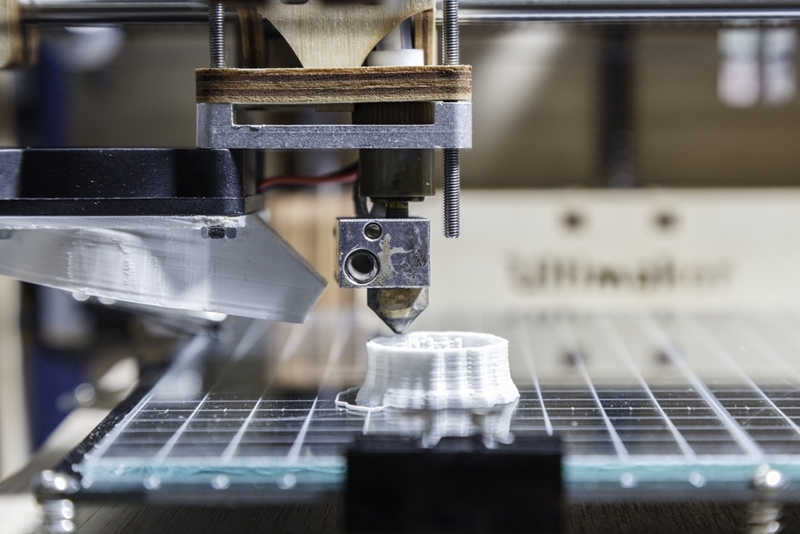 Manufacturing is improving with the help of robotics and 3D printing. "In some situations companies are having to think about whether or not they'll be viable in the next 18 months. So there's a risk of potentially losing some Australian manufacturing to offshore," Tanya Barden, chief executive officer of the Australian Food and Grocery Council, said. While some companies are focusing strictly on improving margins by revamping the warehouse and distribution areas of their organisation, many are forgetting that the back-end plays a significant role in managing expenses as well. Digital platforms allow manufacturing companies to improve productivity. Streamlining extends from the floor to the office, where many businesses are introducing software that helps them automate previously manual methods such as stock control, bookkeeping and sorting through time sheets. By moving all of this to an all-inclusive digital platform, they break down any silos or outdated procedures that take away from productivity. Accounting, for example, plays a major role in ensuring the fiscal fluidity of a company. Rather than pulling information from various departments, personnel are able to pull all relevant information seamlessly at the click of a button to maintain the budget. This frees them up to tackle other tasks, while safeguarding against any mistakes that can arise when jobs are rushed. The digital revolution is here for the manufacturing industry, but it isn't limited to robots and 3D printing. Digital platforms that integrate all the components of a business to improve productivity are allowing organisations to stay competitive; contact an Advanced Business Manager representative today for more information.